Let's face it, New York and other cities have felt the wrath of various alien invasions, giant monsters, and insects of all shapes and sizes. 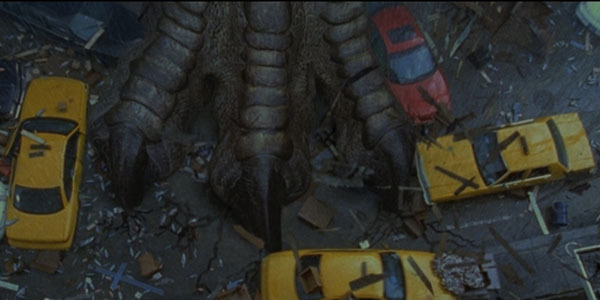 However, after a brief attempt in Destroy All Monsters and the disasterous attack by the giant iguana in 1998's reboot of Godzilla, New York (assuming that is the city) hasn't been annihilated by Godzilla properly. Truth be told, despite the obvious landmarks that the Big G could decimate, I would love to see something like San Francisco or even a destruction tour across the USA. As of now, they are shooting in Vancouver so it will be interesting to see what city(ies) they use. Chris Johnson is a Librarian at the Louisville Free Public Library. He has such a passion for movies (horror and science fiction particularly), various tv shows, comic books, hard rock/heavy metal, and WWE. Chris currently lives in Louisville, Ky.